Pick the theatre, date and showtime of your Group Screening. Use the form below to make your Group Screening request to Universal. After submitting your request, a Universal representative will contact you to confirm - provided the request meets Universal's screening guidelines. The Universal Exhibitor In-Advance Group Buyout website facilitates quicker approval of In-Advance Group Buyouts. Screenings can be as early as 9am on Wednesday during the same week of official release. Theatre MUST report the screening's gross to Rentrak as part of Friday's box office. Each location MUST file a separate request. Tickets to Group Buyout Screenings shall NOT be re-sold. NOTE: Completion of the a Group Screening request form does not guarantee screening approval. Universal will approve all requests at their discretion. 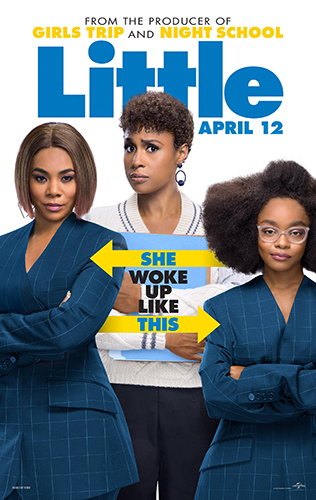 Girls Trips Regina Hall and Black-ishs Marsai Martin both star as Jordan Sanders - Hall as the take-no-prisoners tech mogul adult version of Jordan and Martin as the 13-year-old version of her who wakes up in her adult selfs penthouse just before a do-or-die presentation. Insecures Issa Rae plays Jordans long-suffering assistant April, the only one in on the secret that her daily tormentor is now trapped in an awkward tween body just as everything is on the line. Little is an irreverent new comedy about the price of success, the power of sisterhood and having a second chance to grow up - and glow up - right. This holiday season, Academy Award® winner Robert Zemeckis - the groundbreaking filmmaker behind Forrest Gump, Flight and Cast Away - directs Steve Carell in the most original movie of the year. Welcome to Marwen tells the miraculous true story of one broken man's fight as he discovers how artistic imagination can restore the human spirit. The epic drama is produced by Oscar®-winning producer Steve Starkey (Forrest Gump, Flight), Jack Rapke (Cast Away, Flight), and Cherylanne Martin (The Pacific, Flight) of Zemeckis' Universal-based ImageMovers banner produce alongside the director. It is executive produced by Jacqueline Levine, as well as Jeff Malmberg, who directed the riveting 2010 documentary that inspired the film. 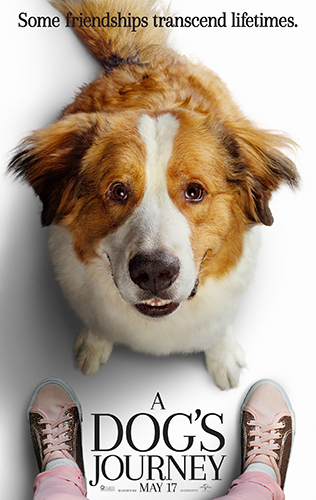 Illumination's tenth animated feature, The Secret Life of Pets 2, is the highly anticipated sequel to the 2016 comedic blockbuster that had the biggest opening weekend ever for an original film, animated or otherwise. Packed with Illumination's signature irreverence and subversive humor, this new chapter explores the emotional lives of our pets, the deep bond between them and the families that love them, and answers the question that has long intrigued every pet owner: What are your pets really doing when you're not at home? 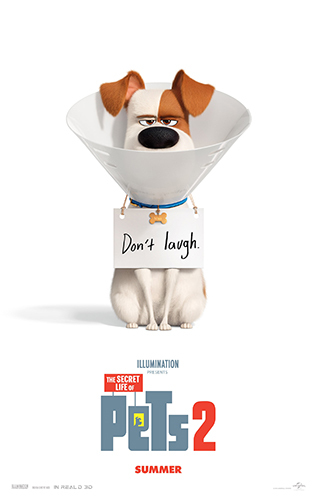 The Secret Life of Pets 2 is produced by Illumination founder and CEO Chris Meledandri and his longtime collaborator Janet Healy, the visionary team behind Dr. Seuss' The Grinch and the Despicable Me and Minions franchise, and is written by returning Pets screenwriter Brian Lynch. The film is directed by returning filmmaker Chris Renaud, who also directed Illumination's Despicable Me series and Dr. Seuss' The Lorax. Creating an account will enable you to submit requests for group buyouts, as well as keep a running history of requests. Please fill in all the fields.